From My Twitter Feed: In Loving Memory, May The #WalkmanRIP : All Tech Considered Take another moment to remember the Sony Walkman and your favorite mix tape. I still can’t quite remember what my first cassette was, but I’m guessing it was New Edition, the early years, as in “Cool It Now.” This was way before the Bel Biv Devoe spinoff or Bobby Brown’s solo career. 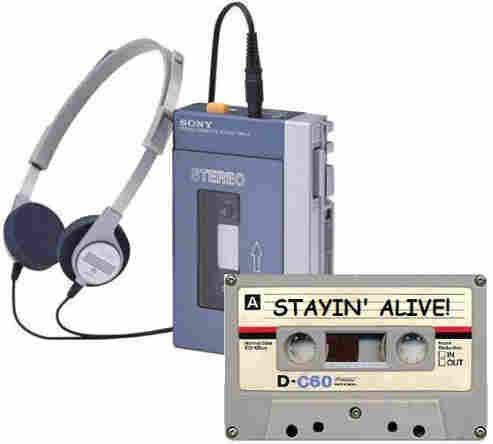 After Sony announced the end of Japanese production of the Walkman, I noticed the hashtags “#WalkmanRIP” and "#FirstCassette” making brief appearances in my Twitter feed. Twitter conversation continued its fun walk down memory lane, and brought a smile to my face during this difficult time. The #WalkmanRIP tweets have died out, just like the use of the Walkman itself. What was the first or last cassette you purchased?